MEXICO CITY – Hurricane Willa weakened on Wednesday to tropical depression after taking land in western Mexico several hours after the evacuation of thousands of coastal residents. Early Wednesday the storm, whose winds reached 120 miles per hour, has lost much of its power, according to the United States National Hurricane Center. The center said the storm was to go further inland with maximum sustained winds of 35 miles per hour and disperse later in the day. By dawn on Wednesday, the storm had increased about 75 miles east-northeast of Durango, Mexico. As a hurricane, he had already fallen into category 3, before he landed on Tuesday evening in the state of Sinaloa, about 60 miles south of Mazatlán, a spa town with nearly 500,000 inhabitants. Before Willa was weakened, federal authorities in Mexico had an "Extraordinary Emergency Decree for at least 19 communities along the Pacific Coast." Antonio Echeverría, Governor of Nayarit, said 12,000 people had been evacuated in his state alone. 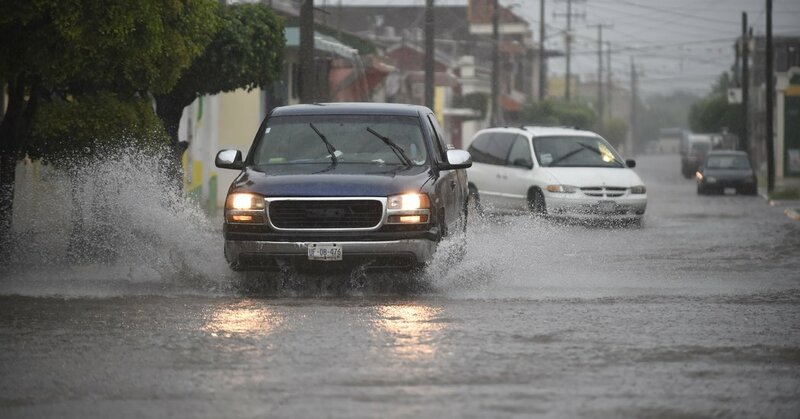 The hurricane center predicted on Wednesday that storm tides would be threatening in the states of Nayarit and Sinaloa, but it warned that heavy rains could still cause "life-threatening flash floods and landslides." Met before reaching the coast the storm Islas Marías, a group of offshore islands a penal colony and a nature reserve, had no immediate reports of deaths or damage. On the coast, residents laid wooden boards over the windows or stretched duct tape over the glass. In Puerto Vallarta, in the coastal state of Jalisco in the south, high waves bounced off the famous boulevard of the city, which was closed when the storm approached. In Nayarit, the hotels were converted into shelters where food and blankets were provided to the evacuees. At the Hotel Playa Mazatlán on the beach, guests were asked to wait for the storm in the hotel theater. "The sea is uneasy," said Ramón Lizárraga, a receptionist, on Tuesday night. "The wind has not started yet, it's raining normally." Twelve people died this week from flooding and landslides caused by tropical storm Vicente in the impoverished southwestern state of Oaxaca.